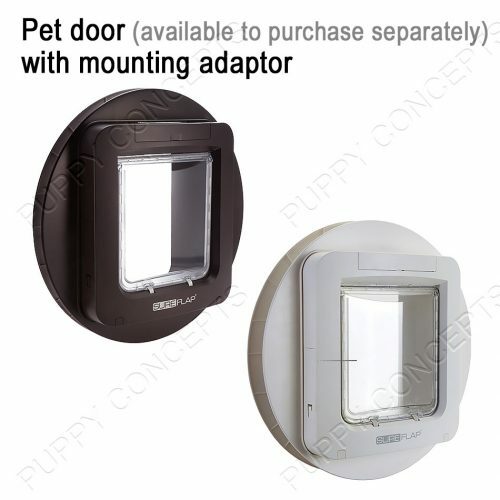 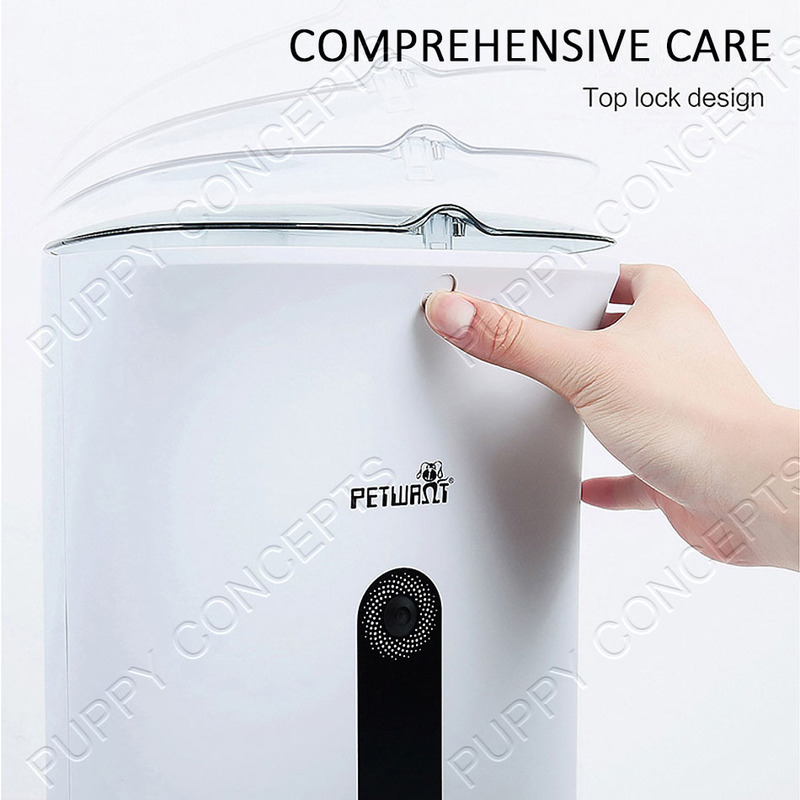 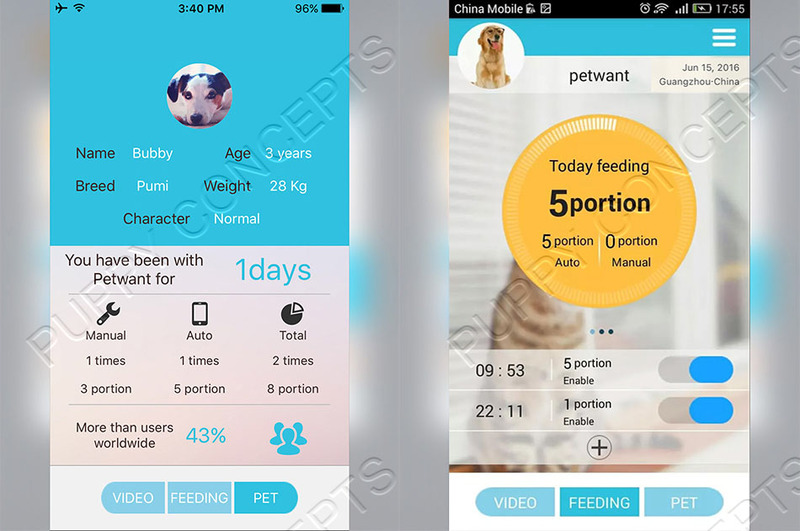 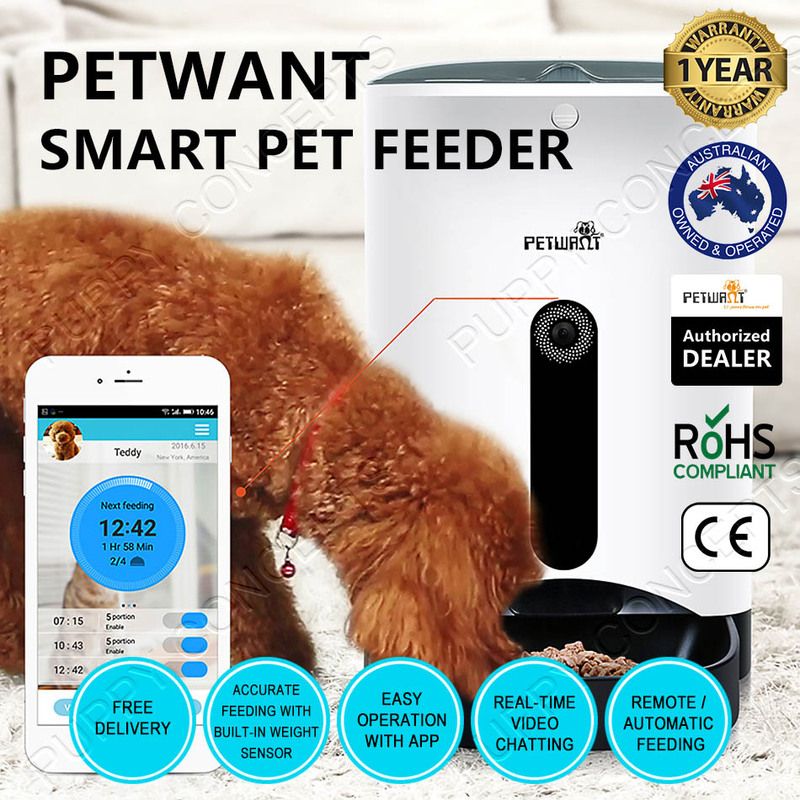 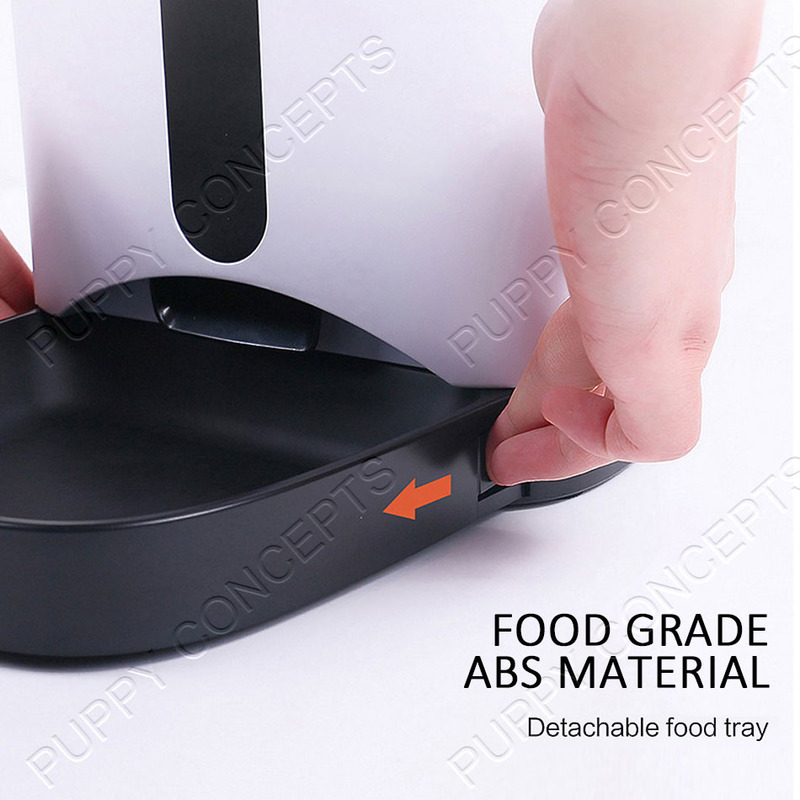 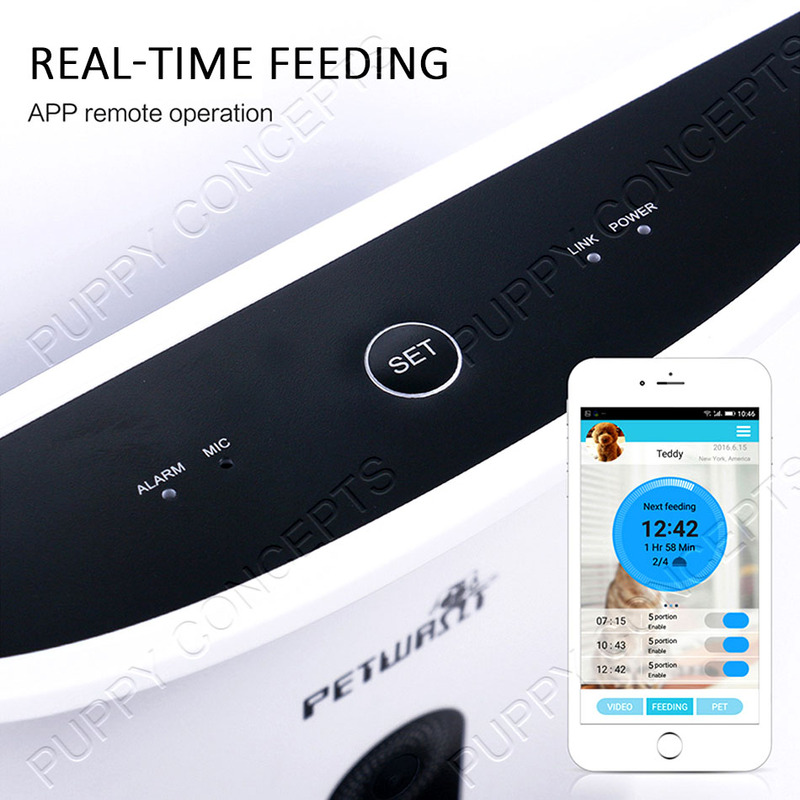 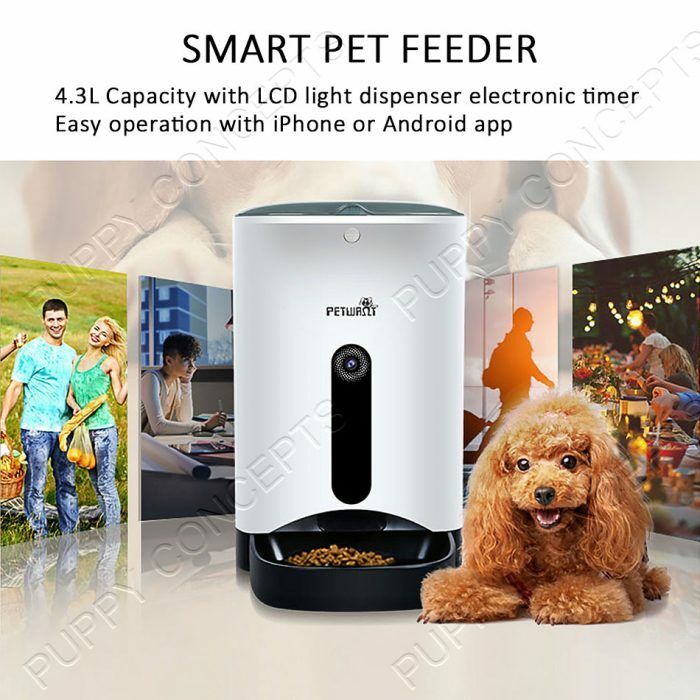 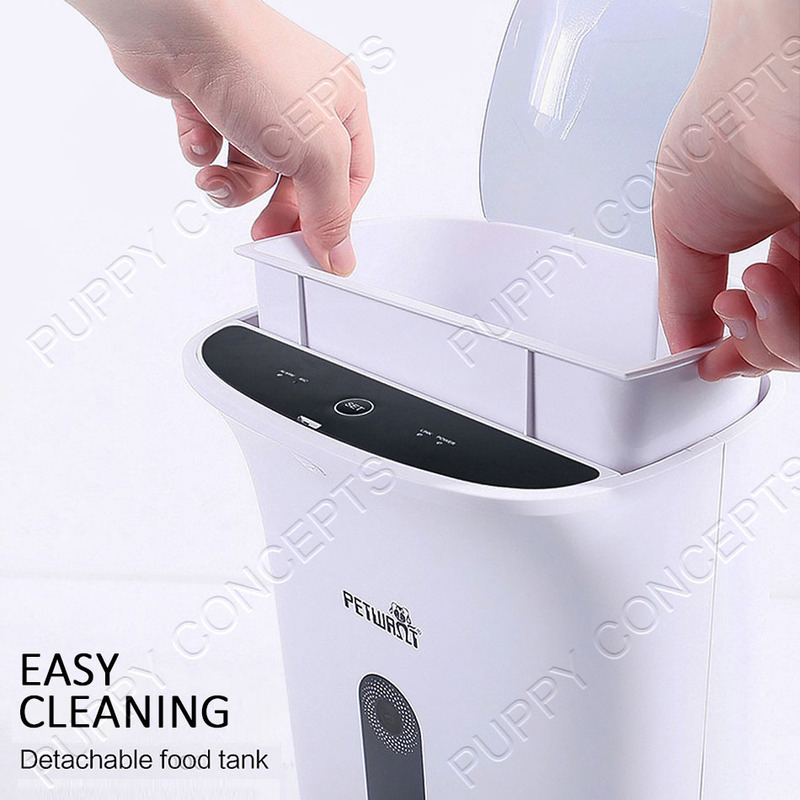 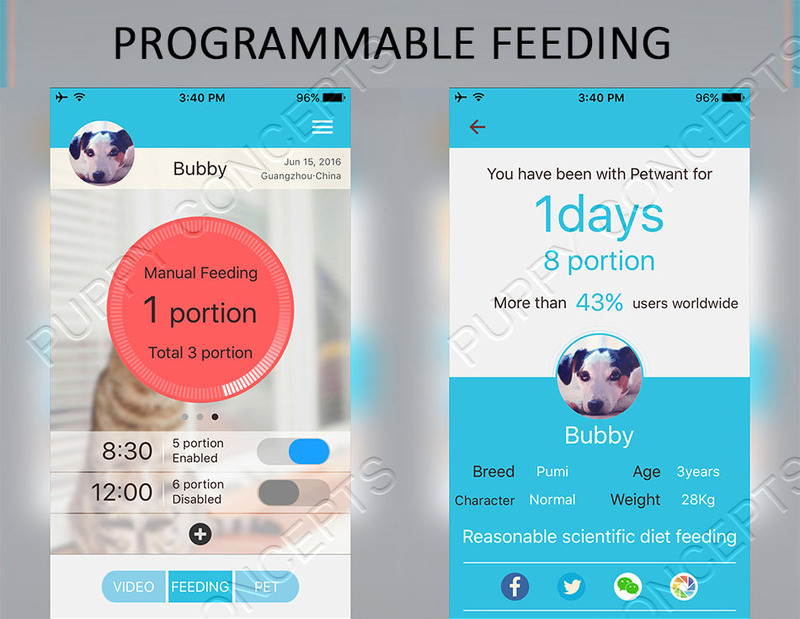 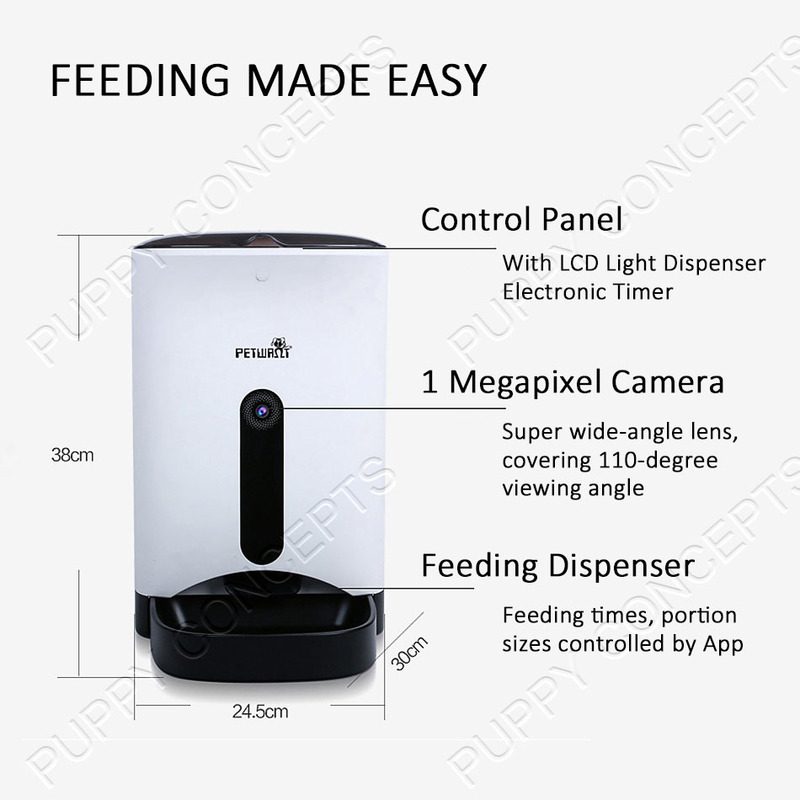 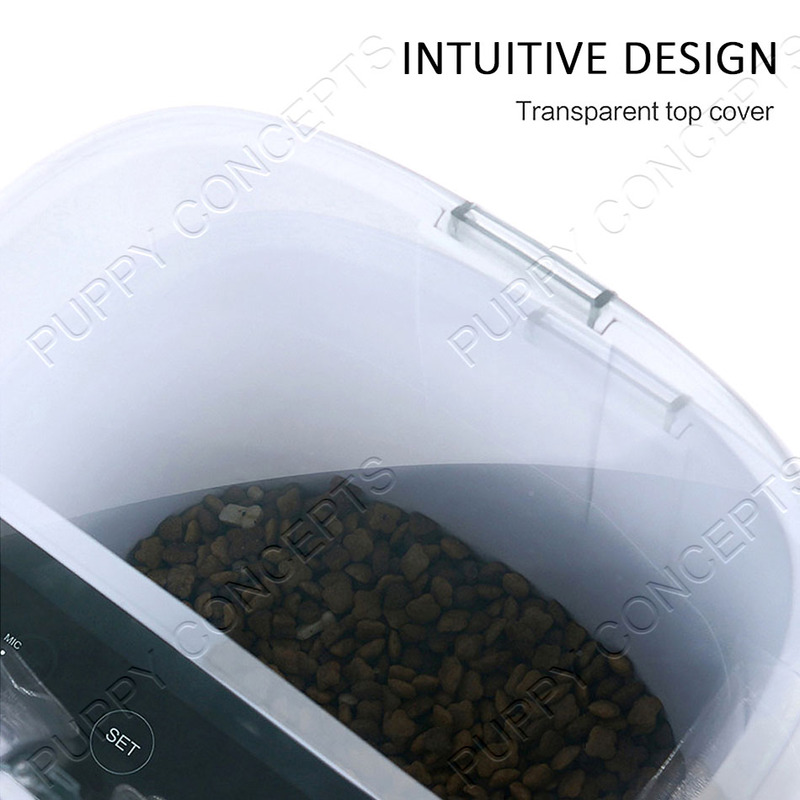 Petwant smart pet feeder PF-103 controls pet feeding via smartphone iPhone or Android app, programmable feeding times and portion sizes, makes feeding easier, and empowers better care for your pets with LCD Light Dispenser Electronic Timer! 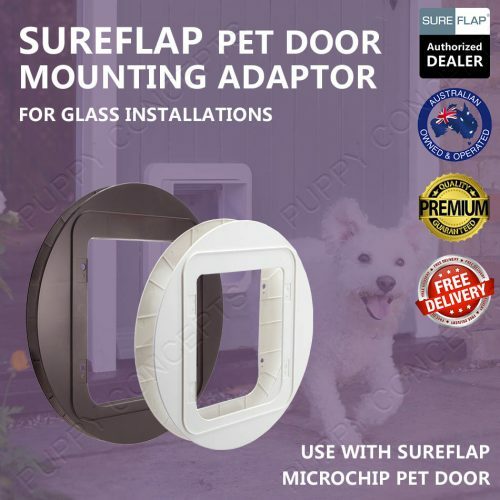 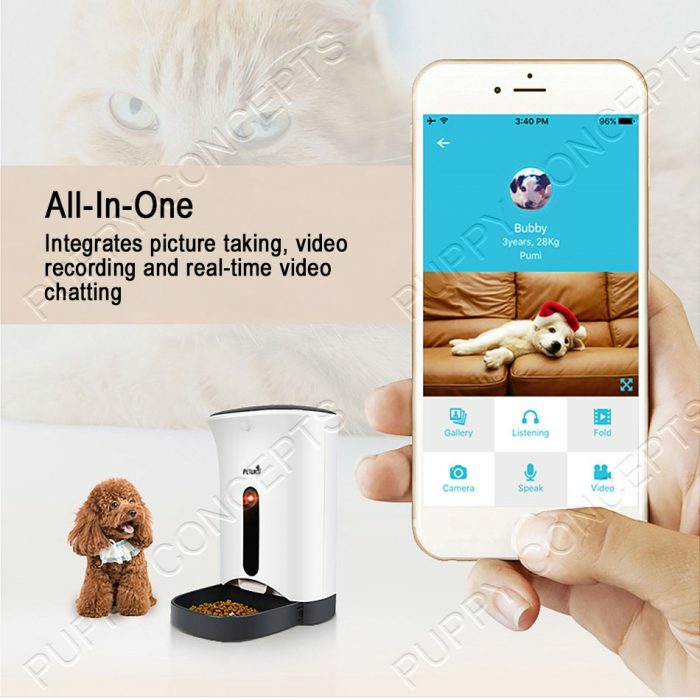 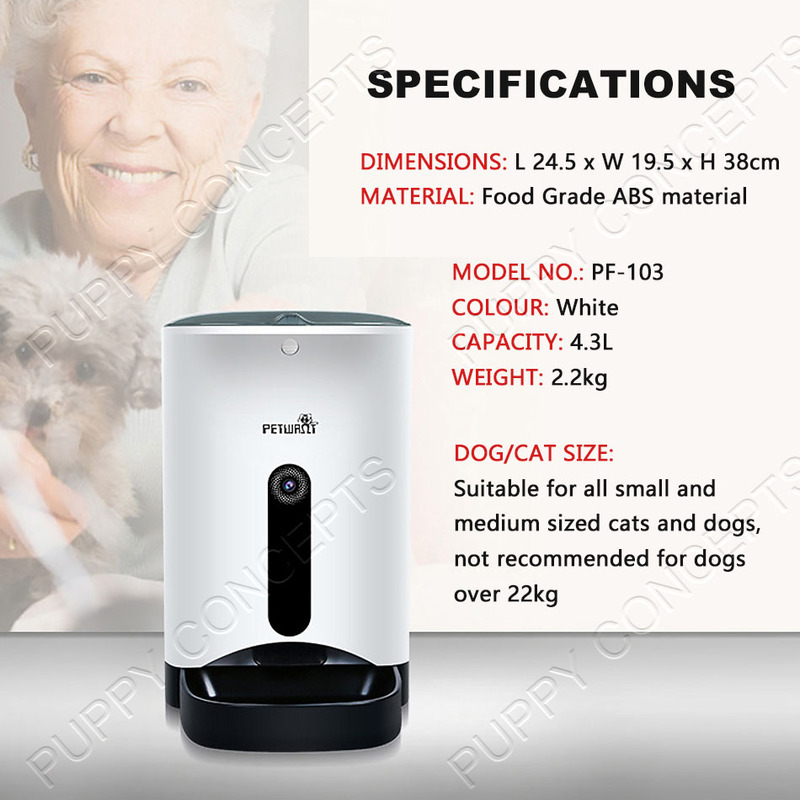 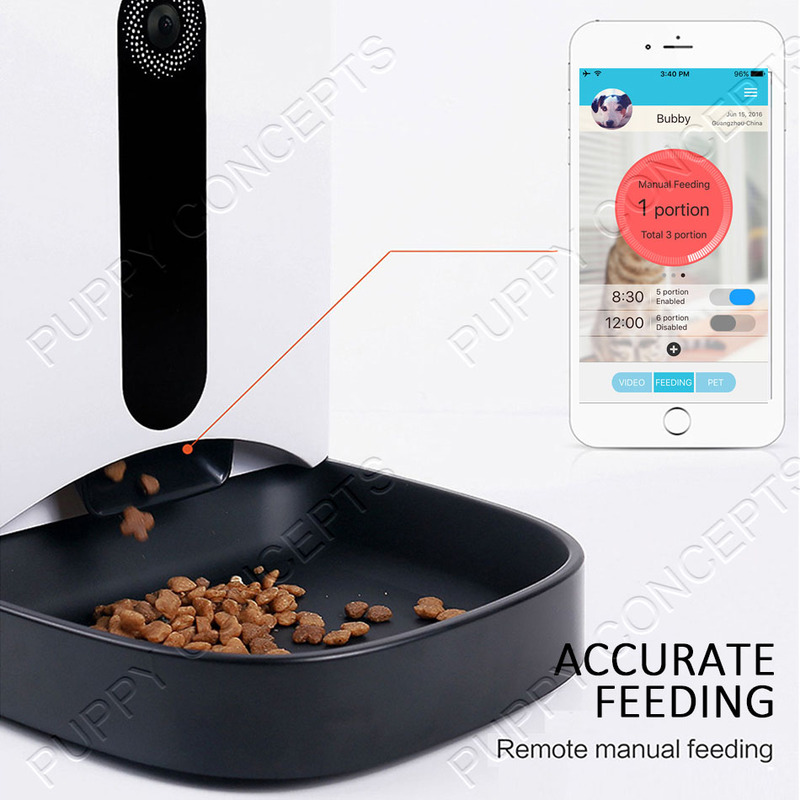 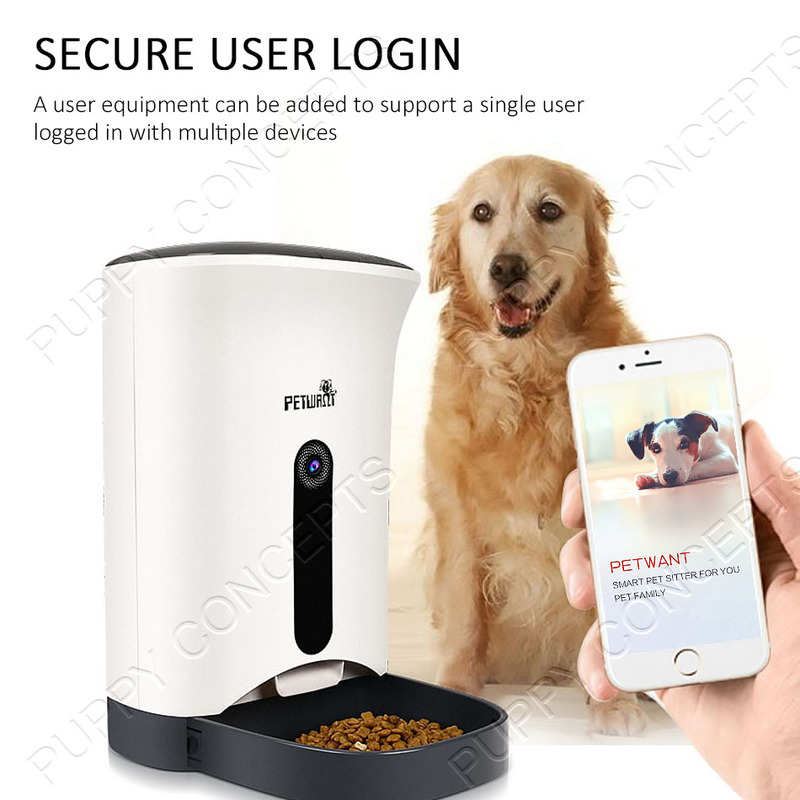 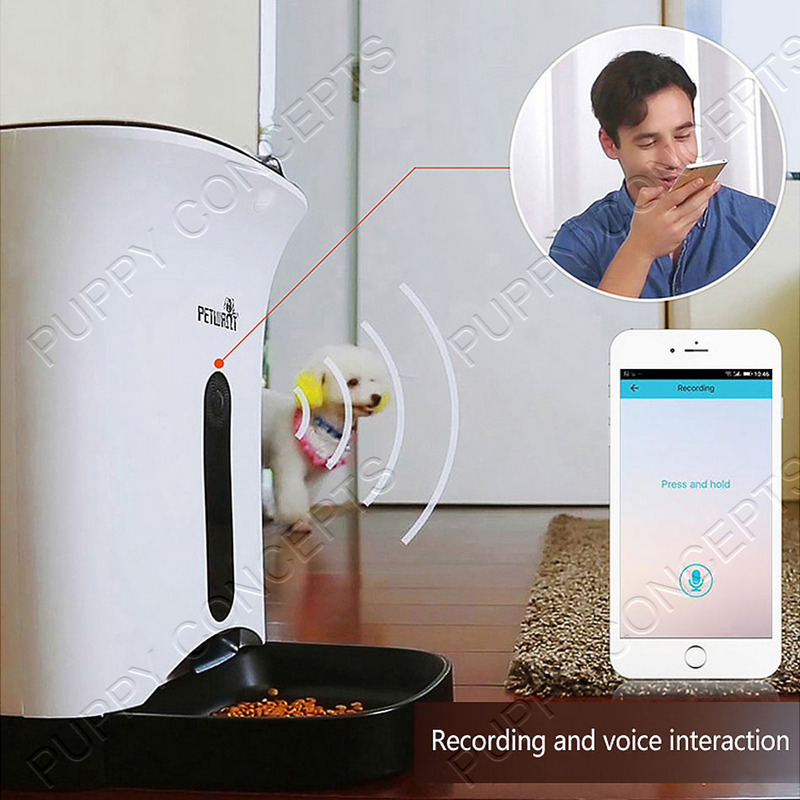 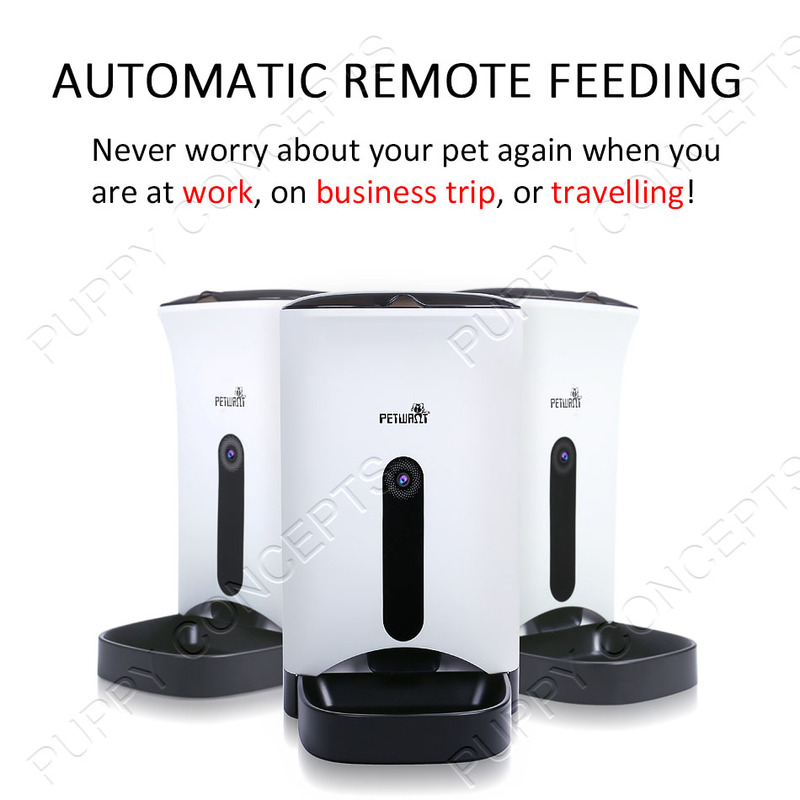 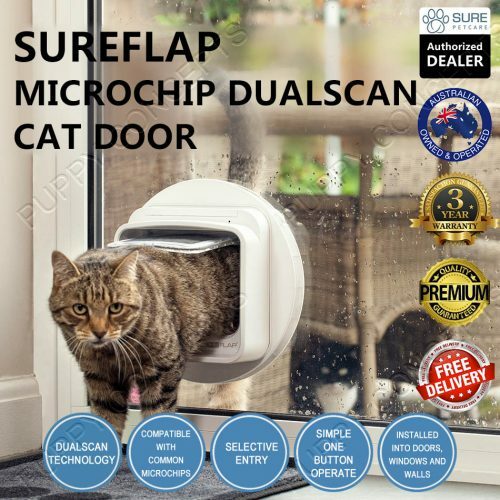 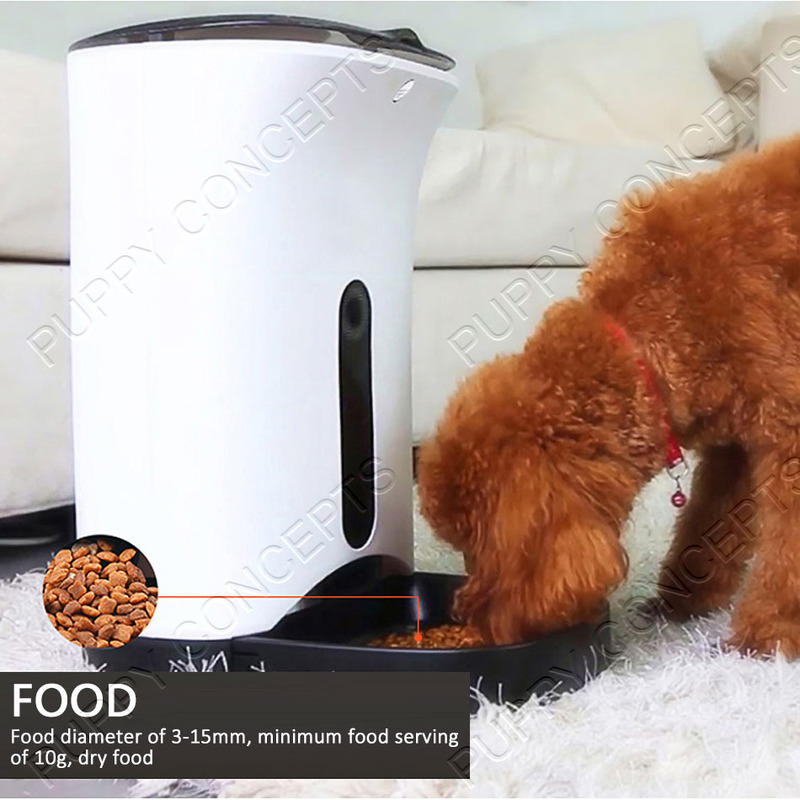 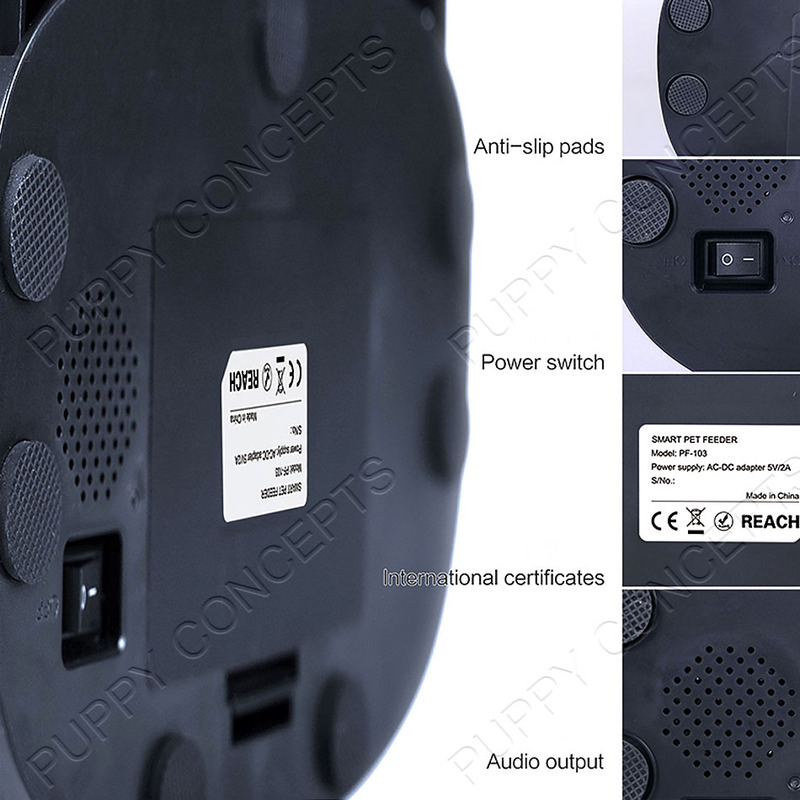 Smart pet feeder integrates picture taking, video recording, real-time video chatting, and accurate feeding amount with an integrated weight sensor! 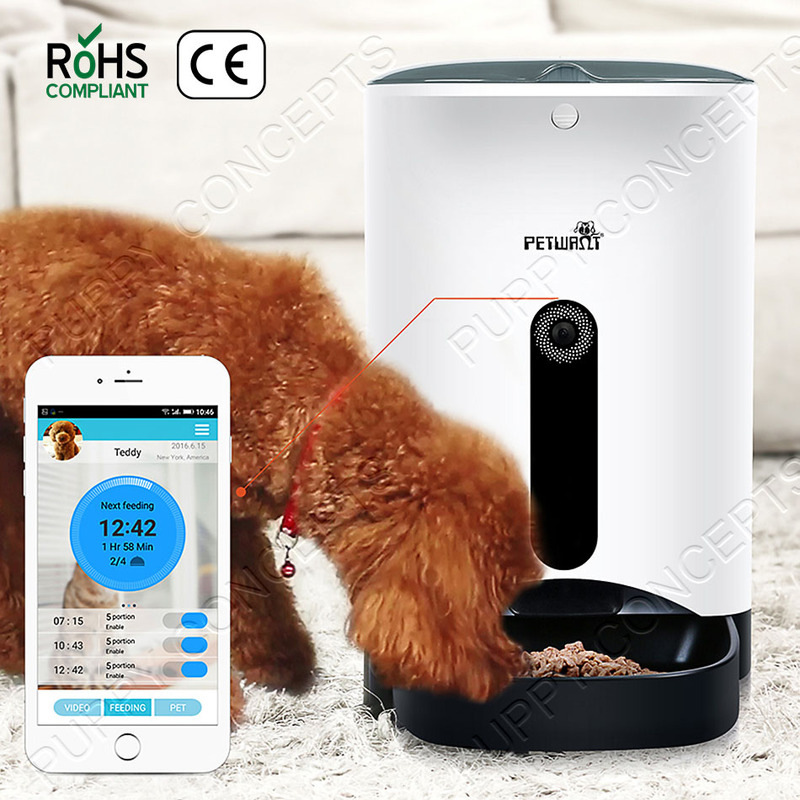 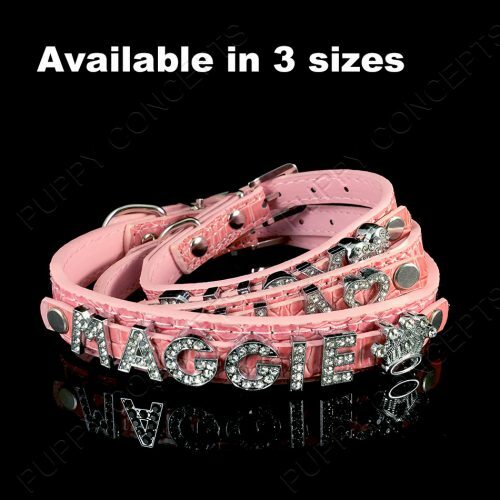 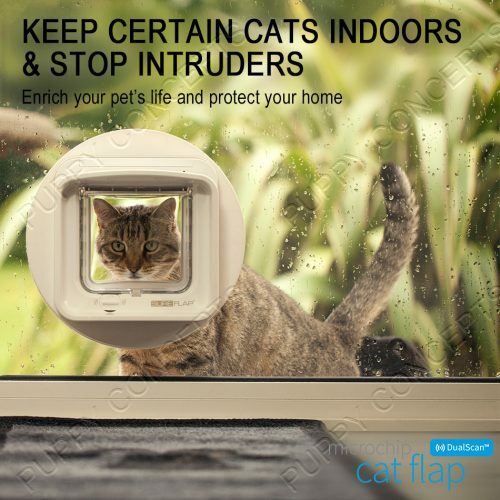 Alarm: Alarm Detection includes shortage alarm, feeding failure alarm, etc. 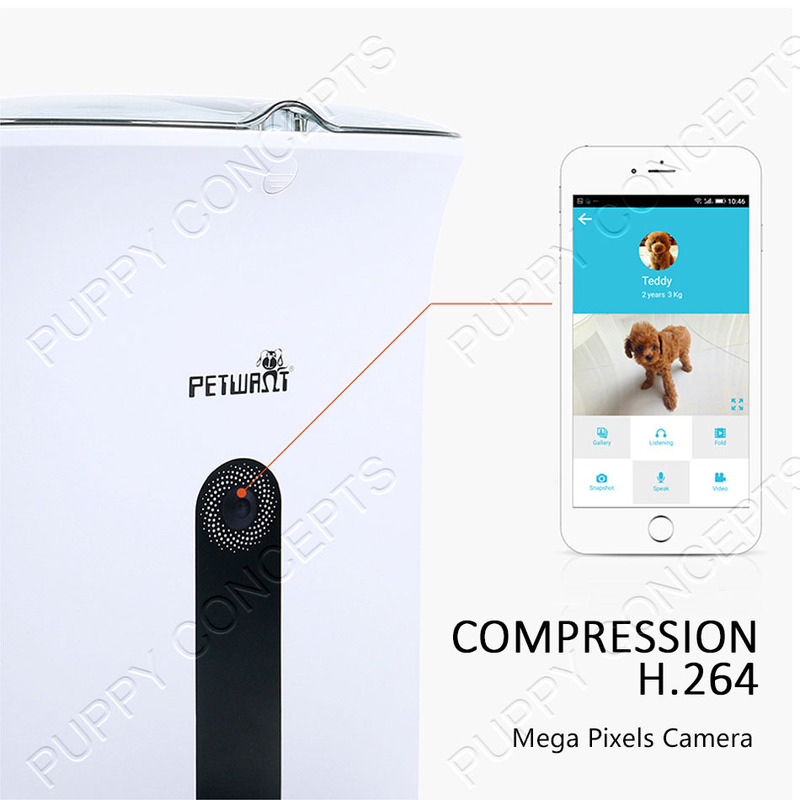 Supported network protocols: TCP / IP, HTTP, TCP, ICMP, UDP, ARP, IGMP, SMTP, FTP, DHCP, DNS, NTP, UPNP, RTSP etc. 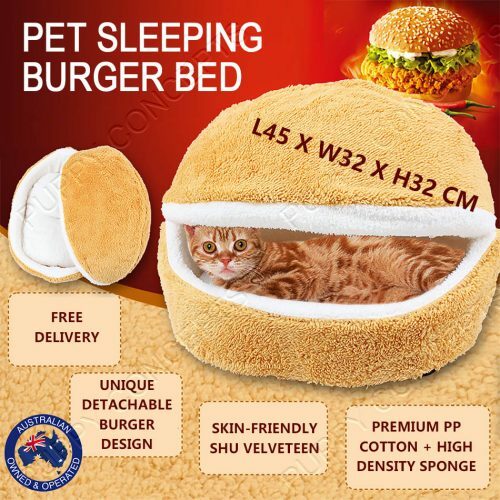 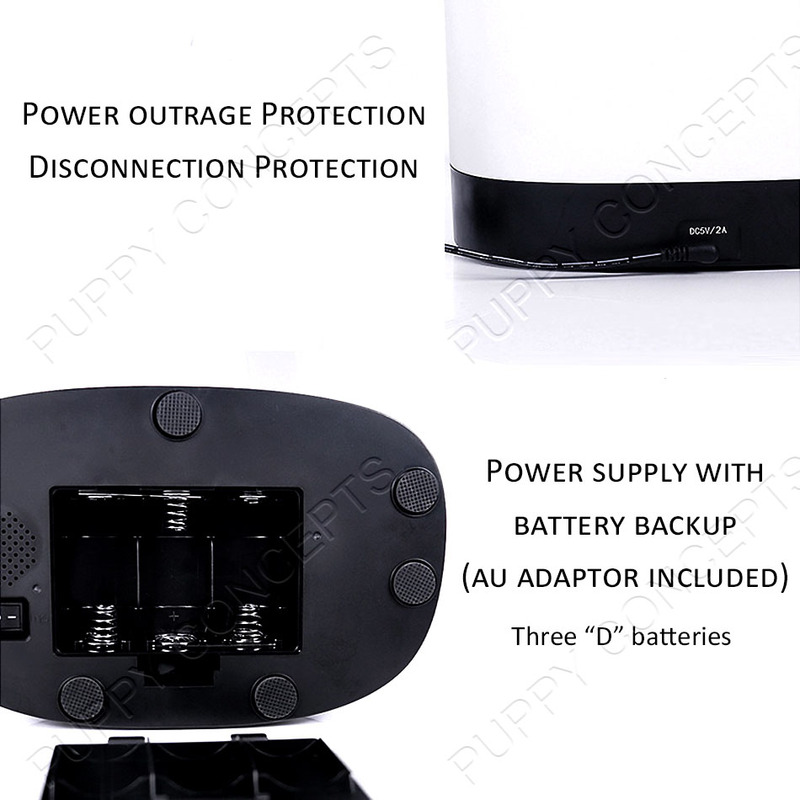 * The battery option will only kick in when the power supply is down. 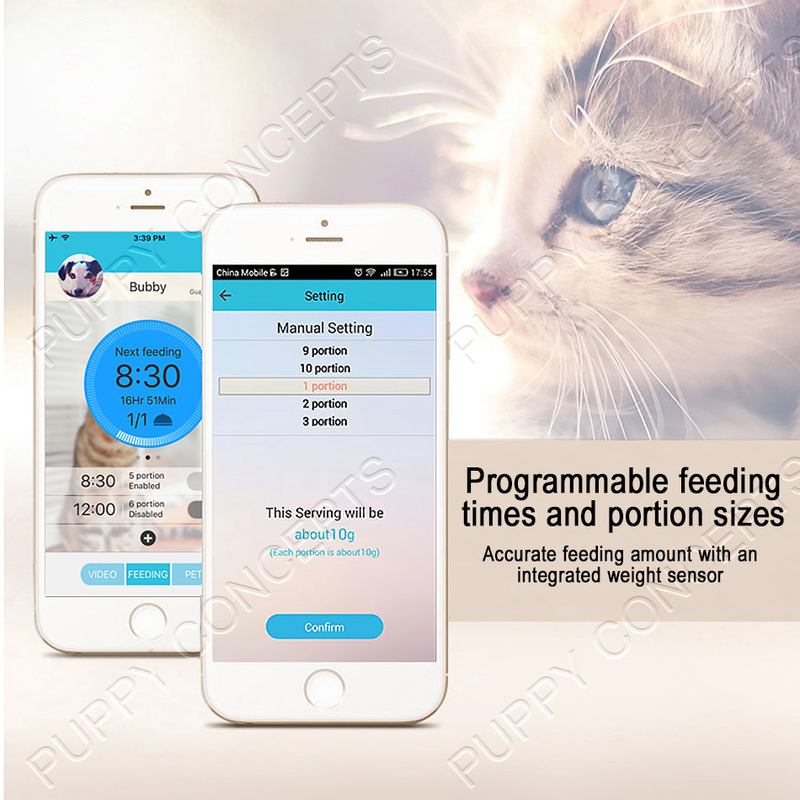 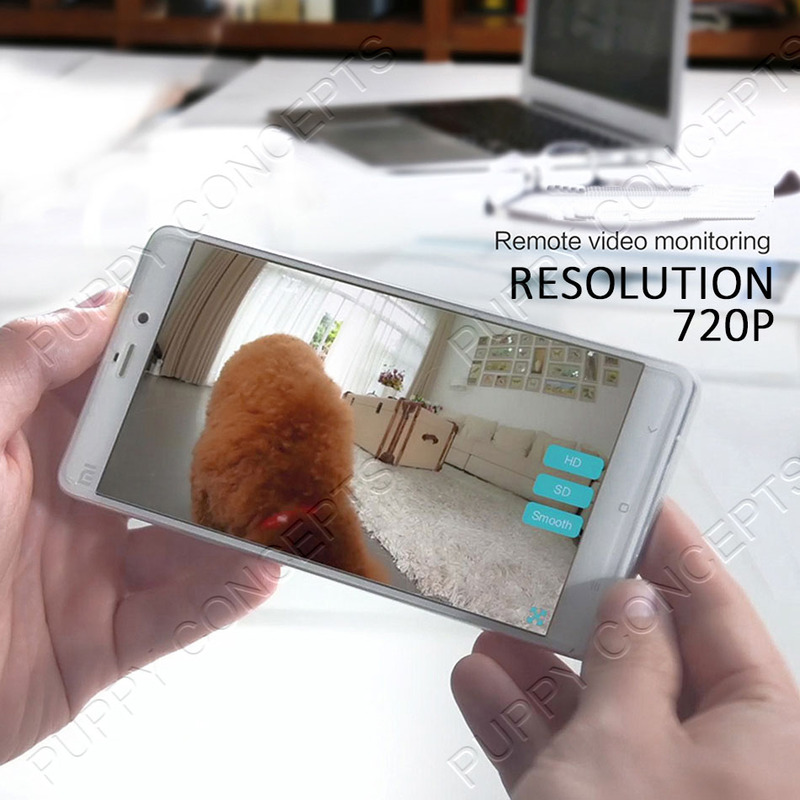 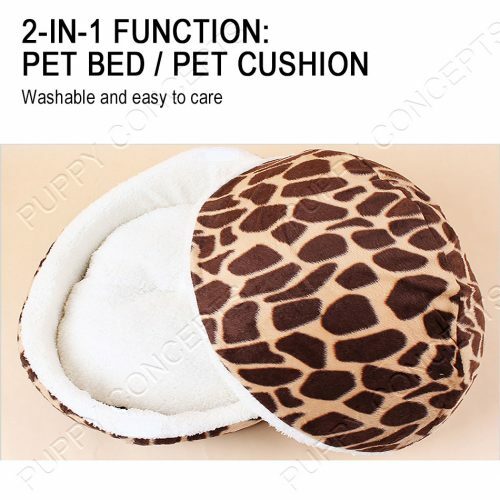 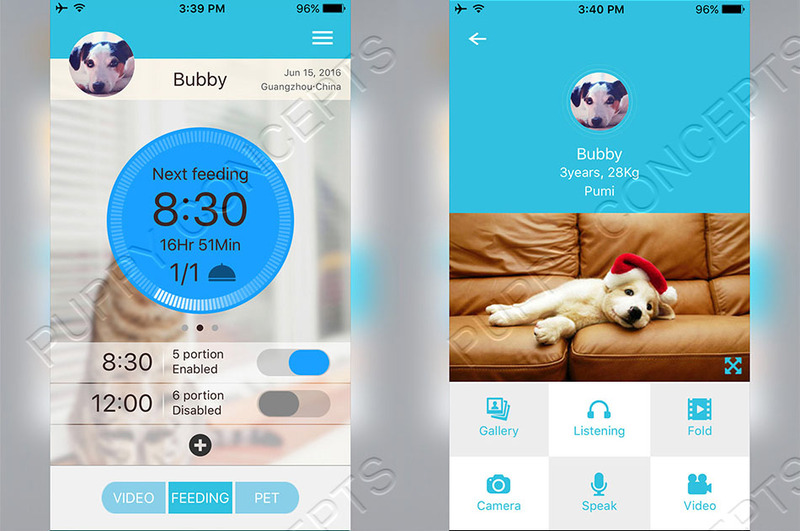 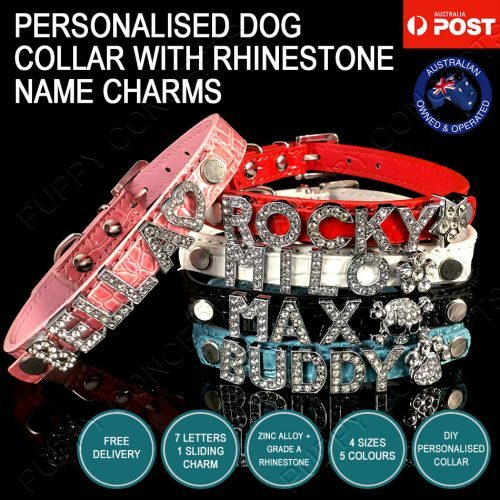 When the battery option kicks in, it conserves energy by turning off all non-essentials functions like wifi, camera, app, etc and only enables the feeding function so that the battery can last longer, feeding your pet as long as it can.